This is a sample entry from Brian Cullen’s email newsletter, The Cullen Outlook, published on December 14, 2012. 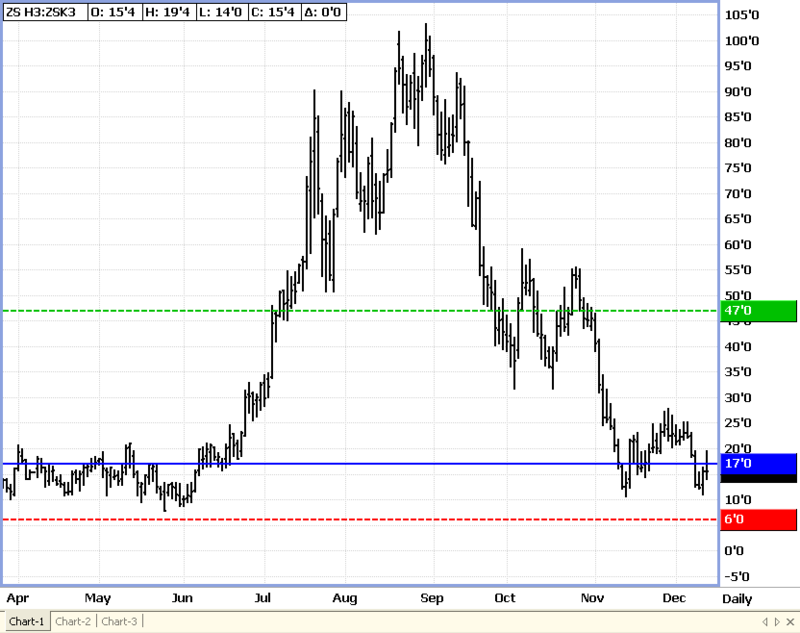 The fundamentals for SOYBEANS look strong. With the January contract 2 weeks from expiring, I look to the March contract. If you look at the chart below, you will see we have had a tremendous pullback in the March versus May spread. This is what I would like to take advantage of. With the cash market and demand both starting to get fired up, I will be putting this spread on tomorrow morning, but I wanted you to see it tonight so you can analyze further if need be.